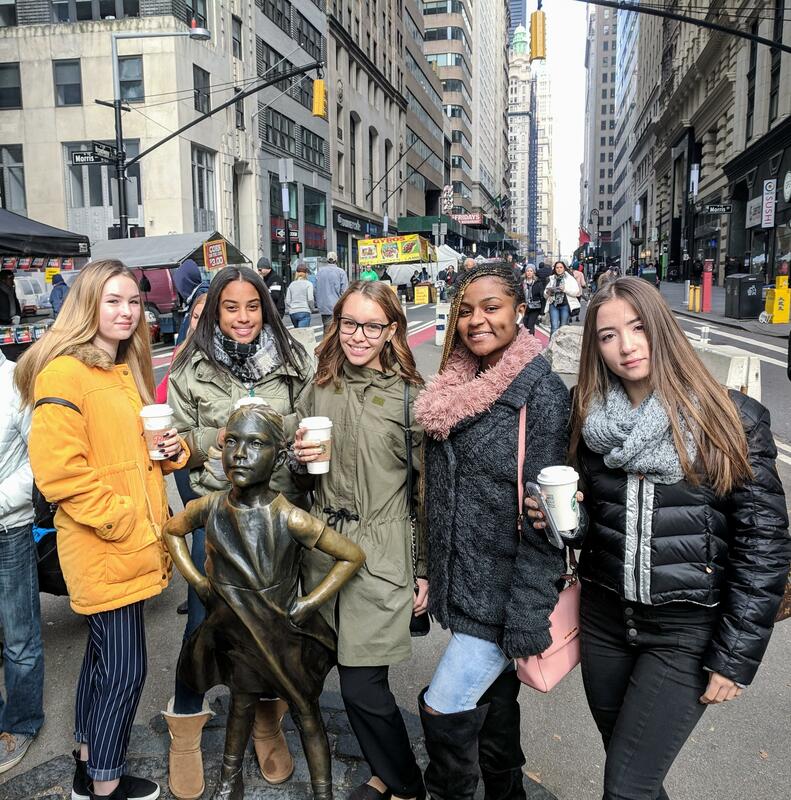 Students participating in the Common Cents Program's financial workshop visited Wall Street and attended a luncheon with a Senior Portfolio Manager from a multi-billion dollar hedge fund. 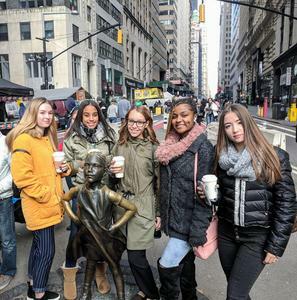 The group visited several Financial District landmarks including the Charging Bull and Fearless Girl statues, the gravesite of Alexander Hamilton, the NYSE and the steps of Federal Hall where George Washinton was sworn in as the nation's first President. The group then traveled to Midtown to join Jane Castle for lunch to discuss her role as a distressed debt portfolio manager. The girls are thankful for the valuable education and career advice they received from the Yale and Stanford Business School graduate.